Zombies are more popular than ever, and like all legends, it has an element of truth. 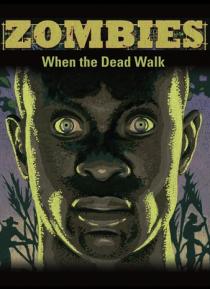 Even though it has been outlawed, Zombies are an integral part of Haiti's cultural and religious roots. However, zombification is used, in rural parts of the country, as a means of punishment for crimes against the community. We travel to Africa, Haiti and beyond to look into the origin of the zombie phenomenon a… nd examine advances in psychopharmacology that have grown out of the zombification process.